No matter which road you take into Clisson, you invariably travel amidst hectares of vineyards; a warm picturesque pastoral scene through which straight lines of young vines cut a bright green presence on a gently undulating landscape. 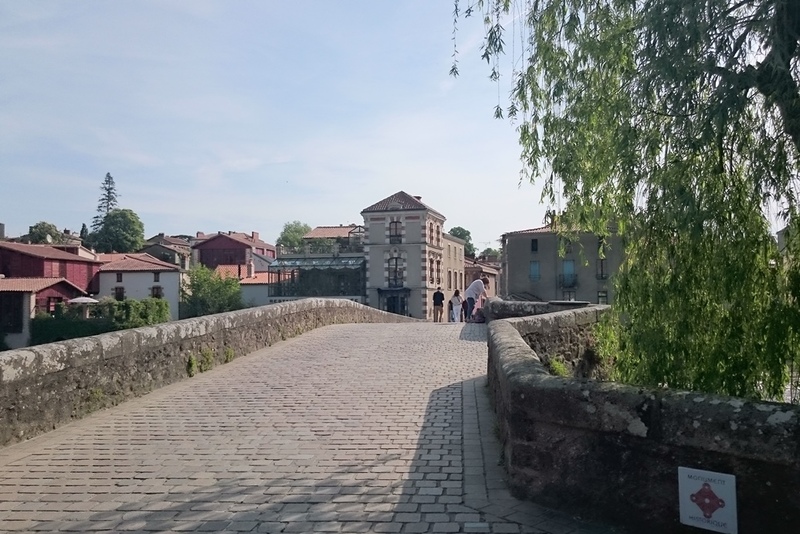 When you reach the town of Clisson – about 40km from Nantes – the first impression is nothing out of the ordinary. It’s a pleasant kind of French rural town of the sort that you might pass through several times on a journey through the country. But on closer inspection, it might dawn on you that this town looks more like somewhere in Tuscany than the Loire Valley. The Italianate look is carried through not only in the architecture but in the botany of the place too. Tall Italian pine trees decorate the place like something transposed for some kind of long-term film set project. At the same time, there is evidence of a common-or-garden French mediaeval town. There is the hulking ruin of the castle for a start and if you look at the covered market in the centre of town, you’ll see that it too has a mediaeval look about it. The large covered timber market place has actually stood here for over 500 years and it still holds a huge market here every Friday morning since the time of François II. Both this structure and the castle speak of a past to Clisson that was much more illustrious to its peaceful present. This was on the fault-line – the border between Brittany, Vendée, Poitou and Anjou. In the immediate aftermath of the French Revolution, there was a vicious counter-revolution and subsequent suppression that cost the lives of an estimated 600,000 people, as well as the destruction of most of the towns in the Vendée and some surrounding settlements. Clisson found itself caught up in this maelstrom and it suffered a similar fate, having been razed to the ground, save for its marketplace and indestructible castle. Enter one François-Frédéric Lemot. A self-made man of the First Empire, he was Napoleon Bonaparte’s sculptor and his arrival in Clisson transformed the ruined town into a little piece of Italy in the Loire-Atlantique. The mediaeval castle bears the scars of the Breton wars of conquest. It was the seat of Henri IV and Catherine at a time when switching sides between France, Brittany and England was an apparently rampant condition. But once you round the great crumbling pile and make your way across the bridge over the River Sèvre, you’ll see just how incredibly detailed the transformation project was. Using French architects who were recently exiled from Italy (France was a bit of a pariah state to many Italians at that time), the vistas were planned, the buildings designed and even the river banks were planted – all in the Italian style. Most visitors carry on across the other bridge (crossing the Moine this time) and into the grounds of the Lemot’s former villas and 26-acre estate. It has been a tourist attraction since the 1820s, while Lemot was still alive. 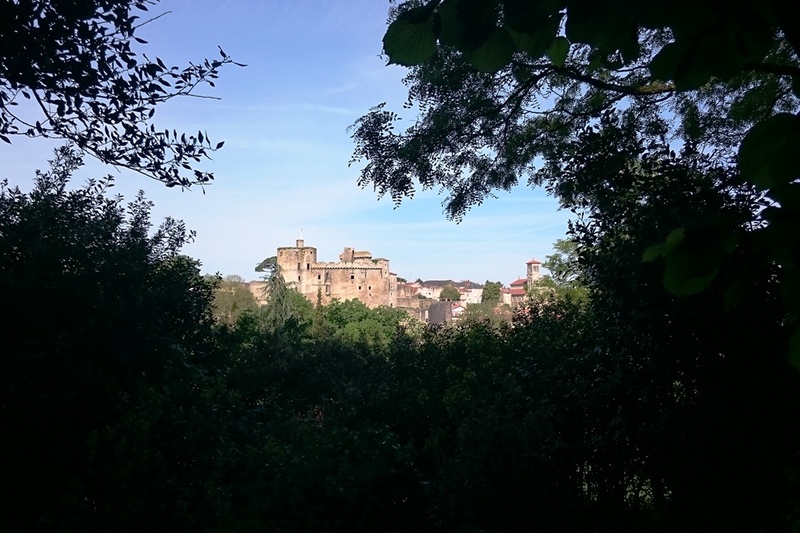 Now owned by the people, the main house gives you splendid vistas across a lush valley, with Clisson Château forming a Camelot-like vision in the distance. One of the most striking aspects of Lemot’s town is that he set it all in motion knowing that he probably would not live to see his dream fully realised. He died in 1837, yet his followers continued the pattern: the trees he and his team had planted continued to grow and the town’s church – a copy of the church of San Giovani and San Paolo in Rome – was built in 1890.